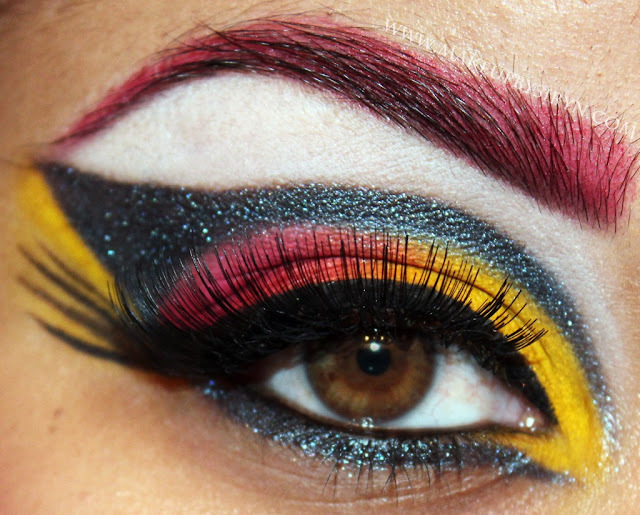 The Crow and the Powderpuff | A Creative Makeup & Beauty Blog: Makeupbee TARiffic Competition! So Makeupbee is having this competition for Summer and one of my friends and fellow geek Siryn has entered! Check out her awesome look and help support by keeping her in the top 10 and giving her a vote on there! (all you have to is click the Luv button on the top left of the picture on the Makeupbee site). It's based on a comic of course Hallcat/Patsy Walker (she is truly the Queen of Comic based looks! ), so geeks unite and throw in your support by voting if you love this look! Also if you haven't check out her blog Makeup by Siryn, she has so many unique and gorgeous looks on there! Wow. This is great, I love it! This is very flawless and beautiful!